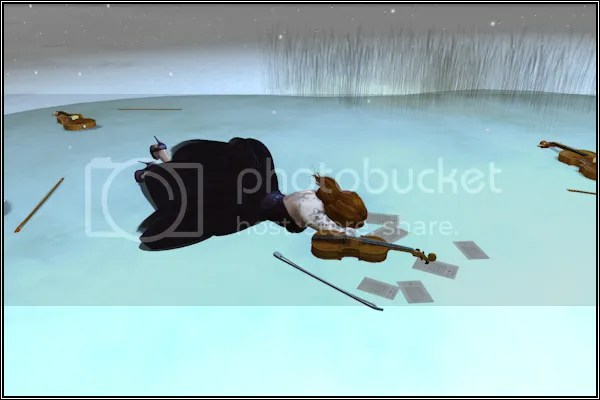 This shoot was done right after I’d visited pose fair, and incidentally, right when the announcement was made that AM Radio was closing. 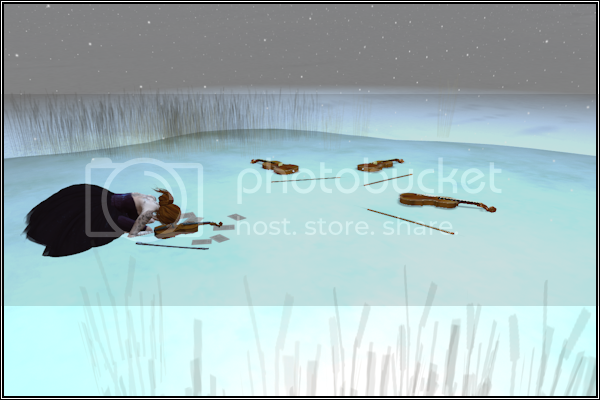 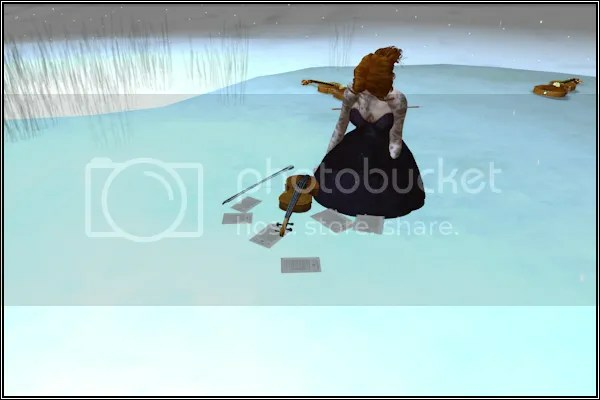 One of the poses I picked up at pose fair was with this violin and the spot at AM Radio with the violins on the frozen pond was perfect for the shoot. 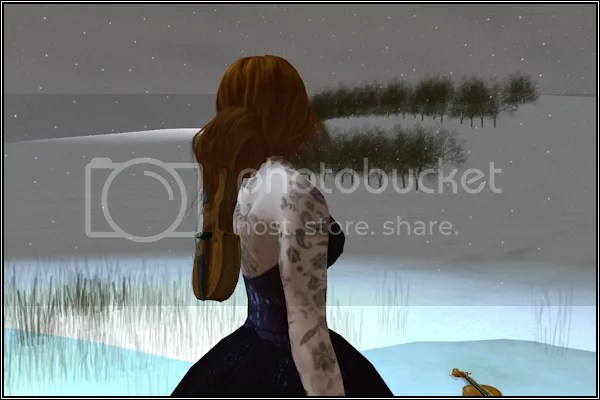 The dress is an old favorite from Icing, but tinted to fit the eggplant color theme.